Dr. Eliaz shares his thoughts on the secret reason behind the hypothyroidism epidemic. Most of us don’t ever think about our thyroid. This gland is located in the neck and produces hormones that regulate energy metabolism, control protein synthesis, and adjust the body’s sensitivity to other hormones. The thyroid is also involved in detoxification, growth functions, immunity, and more. Given all of these critical actions, it makes sense to take care of such a precious and sensitive area of health. But, as noted, thyroid health is often just an afterthought, usually following a related diagnosis–if we give it any thought at all. As you can see, these symptoms are mostly nonspecific and could be caused by any number of issues. However, it’s important to be alert to possible thyroid problems, which can increase the risks of heart disease, cancer, infertility, depression, and other serious conditions. Thyroid conditions generally fall into three categories: hypothyroidism, hyperthyroidism, and autoimmune thyroid disorders. The most common form is hypothyroidism, an underactive thyroid, which can lead to slowed metabolism, hormone imbalances, immune problems, muscle pain, weight gain, fatigue, dry skin, hair loss, and slow heart rate, among other issues. Hyperthyroidism is the opposite, an overactive thyroid; however, the gland can’t maintain such a fast pace and actually burns out over time, leading back to hypothyroidism. Autoimmune disorders, such as Hashimoto’s thyroiditis, which causes inflammation of the thyroid gland, can have an effect similar to hyperthyroidism–over-activity followed by burnout, leading to underactivity. Why All the Thyroid Problems? 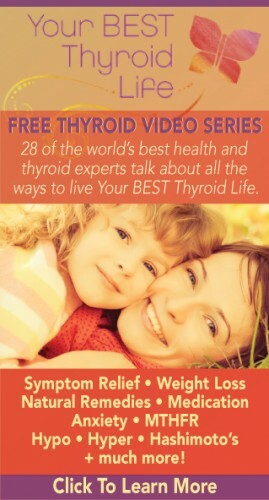 Think about what the thyroid does. It regulates metabolism, the “pace of life,” among other actions. Now think of all the demands we make on our metabolism. Our modern lifestyles are so frenetic, we hardly ever stop. On a comparative level, this is especially true for younger women, who are often balancing career, family, and other interests. Statistically, we are seeing more and more hypothyroidism in women in their 20s, 30s, and 40s. Too many stressful demands are made on them, and when compounded with other factors like an increased toxin load or an unhealthy diet, the gland simply burns out. Adrenal fatigue is also closely related to low thyroid function; when the adrenals are exhausted, the thyroid will suffer, and vice versa. So the first step in rejuvenating the thyroid is simply slowing down. This isn’t just good for the thyroid. Give yourself the gift of rest and you’ll notice the benefits on every level. The thyroid is also extremely vulnerable to pesticides, heavy metals, and industrial pollutants. This is partly due to the fact that certain pesticides and common environmental toxins (chlorine, fluorine, and bromine) accumulate in the thyroid because they are chemically similar to iodine, which the thyroid naturally absorbs. Also, since the thyroid is a very fast metabolizer, it encounters more toxins. So a gentle, total-body detox to safely remove pesticides, heavy metals, and other risky chemical compounds is important for thyroid health. Iodine benefits us in a number of ways, including serving as a natural detoxifier. The thyroid absorbs iodine and, in doing so, replaces other toxins that may have accumulated, such as bromide, which is common in pesticides. Adequate iodine intake can be particularly important if you live near agricultural areas where heavy pesticide use is the norm, such as vineyards or apple orchards. Be careful with supplemental iodine though, as too much can also be a problem. Two to 3 milligrams (mg) of natural iodine supplementation a day is usually sufficient for people with hypothyroidism. For people who are extremely deficient, I recommend 12.5 mg. It’s also important to avoid iodine if you have Hashimoto’s (autoimmune thyroid disease – hypothyroidism) or hyperthyroidism, as use in these conditions can make the thyroid overactive. A number of minerals contribute to thyroid health, including magnesium, calcium, zinc, selenium, and trace minerals. Specific herbs can also be helpful. Because many thyroid conditions are associated with inflammation, anti-inflammatory herbs are recommended. Traditional Asian herbs Prunella vulgaris (common selfheal), Radix scrophulariae (xuan shen), ningpoensis (Chinese figwort), Melissa officinalis (lemon balm), and Coleus forskohlii (Indian coleus) all benefit the thyroid. I generally recommend avoiding soy, which can interfere with thyroid enzymes. Also, gluten sensitivity is often associated with thyroid problems, so adopting a gluten-free diet may help to normalize thyroid function. Supplements that reduce inflammation, improve circulation, and remove toxins and heavy metals are also critical for thyroid health. One of the culprits in thyroid and other chronic health issues is a protein called galectin-3. At elevated levels, galectin-3 fuels chronic inflammation throughout the body. Controlling galectin-3 will do more than bolster thyroid health; the protein has been associated with cancer, heart disease, kidney ailments, and other conditions. A proven way to combat the effects of elevated galectin-3 is with the dietary supplement, modified citrus pectin (MCP). This form of citrus pectin is enzymatically altered for absorption into the bloodstream. Multiple studies have shown that MCP binds and blocks excess galectin-3, controlling the protein’s harmful effects throughout the body. Even more importantly, MCP safely removes heavy metals and other toxins from the body–without affecting essential minerals. This specialized detox function is critical for thyroid health. Pectins have also been proven to remove radioactive particles from the body, and were given to victims of the Chernobyl disaster to help detoxify radioactive iodine-13–with good results. The number of thyroid cancers dropped in the groups with high-pectin diets. If you think you might have a thyroid issue, I always recommend working with a practitioner who is knowledgeable in this area, since thyroid problems can be tricky to diagnose and treat. The diagnostic tests for low thyroid are not always accurate, and the physiology of the thyroid is complex. Some people make enough inactive hormone, but the body is not able to activate it. Or the body might make antibodies against its own thyroid tissue. These complex factors need to be sorted out in order to treat the imbalance properly. Ultimately, many of the same methods we use to support thyroid health, especially detoxification, can enhance overall health as well. In combination with a proper diet emphasizing nutrient-dense whole foods and good lifestyle habits like regular exercise and healthy stress relief, these measures can support thyroid health and general wellness, offering greater energy and vitality over the long term. Isaac Eliaz, MD, MS, LAc, integrates Western medicine with his extensive knowledge of traditional Chinese, Tibetan, Ayurvedic, homeopathic, and complementary medical systems. 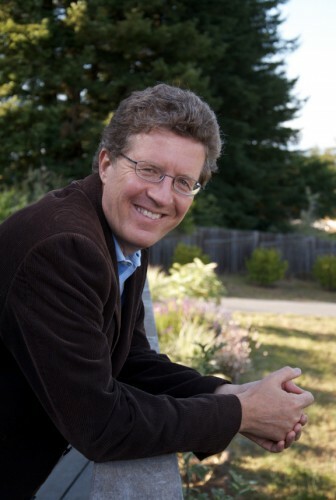 With more than 25 years of clinical experience and research, Dr. Eliaz has a unique holistic approach to the relationship between health and disease, immune enhancement, detoxification, and cancer prevention and treatment. For more information about his work, visit DrEliaz.org. Be sure to follow him on Facebook, Twitter and Youtube. Questions or anything to add about hypothyroidism? We want your thoughts in the comments section–Please!